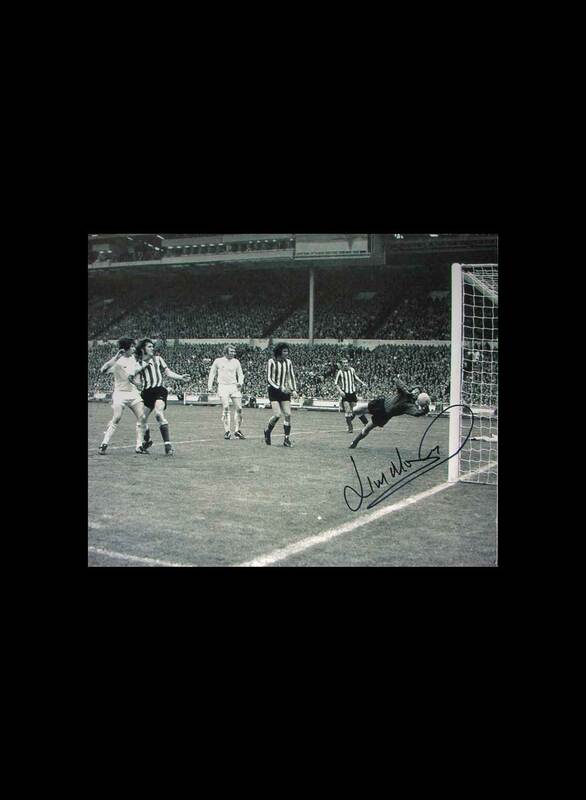 Today, we hand over the penultimate prize Guess the Score* to a three-year-old girl who has embarked, even at such tender an age, on a lifetime of what we all know supporting Sunderland brings. As Derek Scott points out, we have already heard eloquently from his daughter Natasha, keeping faith from faraway Cornwall. (Re-read her heartwarming contribution from a few years ago, sadly stripped of the photos by the system, here). Sometimes, and admittedly it’s only on the rarest of occasions these days, something happens that makes you realise why you support Sunderland. It’s certainly not for the glory, the trophies or the glamour, but it’s about why you went to football for the first time, it’s about why you love the game, it’s about traditions, it’s about family, love, shared experiences; it’s part of growing up – an acceptance that sometimes, maybe even frequently, things don’t go as well as expected. Its part of our culture. It’s like life. Like a large proportion of the Salut! 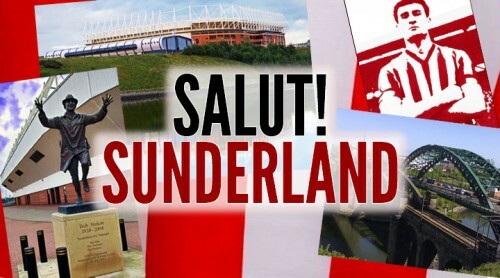 Sunderland community, I no longer live in the North East. Where we live you can see football shirts on the streets every day, not the shirts of local clubs but those of the Manchesters, Chelsea, Liverpool, Arsenal (not so much recently), even Barcelona and Real Madrid – the wearers are the Children of the Champions League. One of the joys of returning to the North East is not seeing that. 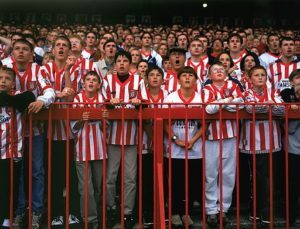 In the North East kids wear Sunderland kit, Newcastle kit and even Boro kit, it must never change. 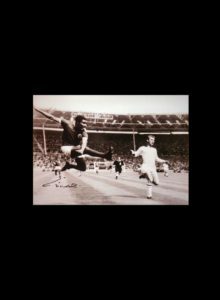 All of us have had our dark days, our desperate days, yet we still cling to our colours proudly, competing, jumpers for goalposts style, with all the passion, commitment and attitude we expect of (and, all too often don’t witness) our heroes. There haven’t been many bright Stadium of Light related moments since Roy Hodgson thought it was a good idea to have Harry Kane take corners at Euro 2016, a handful of victories, the odd equaliser….. and now I’m running out of highlights so I’ve got to share my best moment of this awful season with you. 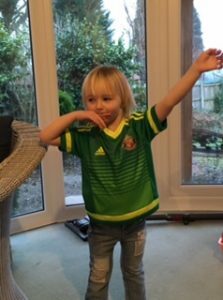 Previously, my daughter Natasha has lit up your pages with tales of her early days at the Stadium of Light, now, my granddaughter, Olivia, three, provides the glimmers within the gloom. 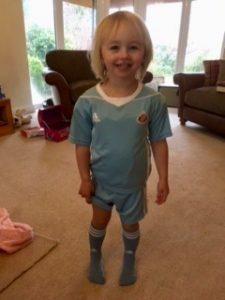 Olivia, a resident of Bridgnorth, Shropshire, is the proud owner of three Sunderland kits (all obtained at minimal expense due to our current predicament); the green away kit – think of Borini at Norwich, the blue sash away kit – think 4-0 at Palace, and this years light blue away kit – …. think of errrr….. well use your imagination! Anyway, Olivia sports her Sunderland kit, with pride. When the blue away kit was delivered recently she was reluctant to get dressed, however as soon as it was suggested she wore the blue away kit to go to a family meal in town she leapt at the chance. 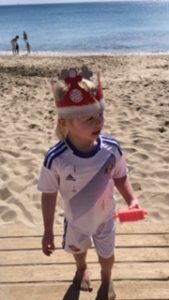 Clearly she has the steadfastness to rise above that traumatic experience, this week she started at nursery and shunned all her father’s attempts to get PE kit, insisting, you’ve guessed it, on wearing her blue away kit for all physical activities! Which demonstrates what its all about really; following your team through thick and thin, it doesn’t matter what division we’re in or where we play we are Sunderland. Well, its all totally irrelevant in terms of a sporting contest, nothing to lose, nothing to gain. So in true Sunderland fashion we will probably win as there is nowt to be gained, however in light of this horrendous season, pretty much like the last one, we will probably simply roll over and keep Fulhams promotion hopes alive. Basically, its a very difficult one to call, when we needed a performance we got the usual gutless going through the motions, so by extension what should we expect now that we don’t need anything from the players, football tennis on the beach standard? You could argue that we have had that for much of the season anyway. I am actually so drained from the season that I couldn’t care less anymore, I do appreciate my fortunate position of being located in the Middle East so am very unlikely to have to suffer the inevitable pi$$taking for being a Sunderland fan that will be rife back in Blighty. 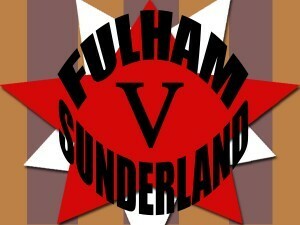 Anyway in the spirit of the competition Fulham 4 – 0 Sunderland . I was robbed of my 2-2 against Burton F Albion by a dubious refereeing decision so I’ll try again. I want the Cottagers to be promoted. Last time I was there we won 4-1. Less said about who scored a hat trick for us the better. 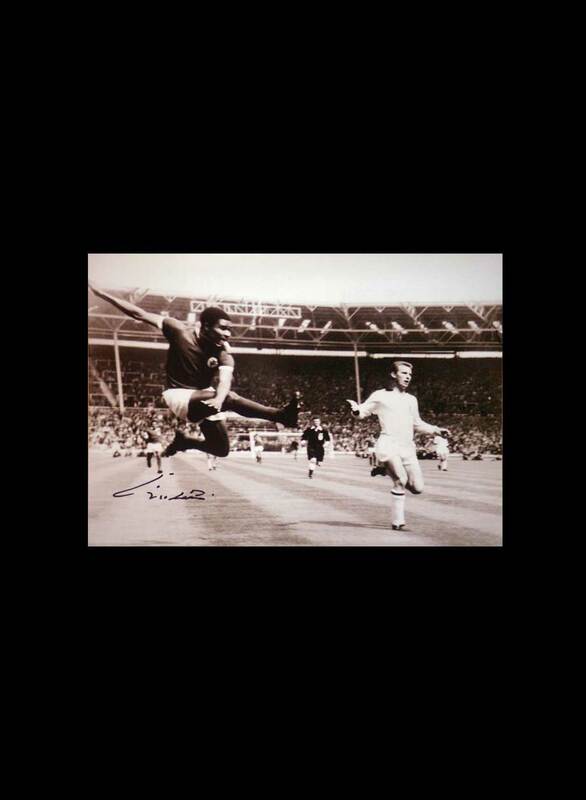 We can do it again – but cannot defend – so it’s a 4-3 win then. Yippee! In our 15 point season of 2005/2006 we played Fulham at home in the league (April 8th) and were 0-1 down to a Brian McBride goal when snow-storm conditions after 21 minutes prevented any further play. The abandoned game was replayed on May 4th, our last home game of the season, and we WON 2-1 with goals from Le Tallec & Chris Brown. This, as you may recall, was our ONLY home win of the season. The Fulham manager of the season was of course Chris Coleman. In this appalling season we’d gone 10 home games without a win. Finally we broke our duck against, yes, Fulham on 16/12/2017 winning 1-0 with a Maja goal. This was not quite Chris Coleman’s first game as our manager but it was close. With one more home game to go we have just 2 home wins on the board. I’ve been saying it for over a season and getting nowhere. It must be one of the most common scores in football. And we’ve never done it for how long? Burton away this season was the last time. In league games we have had only 9 2-0 wins (home or away) starting from 2010. OTOH we have lost 2-0 in league games 28 times during the same period. Off on my annual sojourn to Cyprus on May 17th for 6 weeks where I shall steadfastly avoid watching the shenanigans from Russia but will read about it on BBC Sport along with keeping an eye on Durham CCCs results – let’s hope they improve. 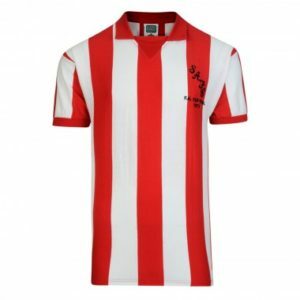 Should I pack my normal quota of SAFC related merchandise – normally about half a suitcase – and if I do, to quote Olivia “will people laugh at me”? Probably. A 0 – 2 defeat would appear feasible. If I am correct, please forward said mug on to Olivia. Only if Phil D wants to let go of his mug if that’s the score as he went for 2-0 first! Go on Phil D – make a donation to the young lady. I’ll change my prediction to zilch, nada, nothing, nil each. I can’t see us winning against Fulham. I can’t see us winning against any team showing either more spirit than us and or having a more competent goalie or defence than us (even if we had 3 goalies on the line simultaneously). The Lads to win 3-2,but just this time wouldn’t mind if Fulham get the points and get to go up automatically, as in my opinion they play the best football in the Championship. Don’t often do this, but as we are approaching the end of a thoroughly depressing season, I thought, ‘Why not?’ We can score as well as allow the opposition to do the same so we will lose 4-2. 2-2 with 5 minutes to go!